The scripture said: A slack hand causes poverty, but the hands of the diligent makes rich. And Lailah Gifty Anita also said in his book Think Great: Be Great! “For every great success, diligence is desirable from the beginning to the very end.” In my quest for success I have come to realised that hard work never killed anyone. In fact, indolence is one of the major causes of frustration. Hard work is still a fundamental prerequisite for success. If you want to see your dream become a reality, you must be willing to work hard at it. No one will do that for you unless of course, they are well paid to do it. Let me tell you a story of a successful man who was celebrating his 80th birthday. Everyone knew how he rose up from abject poverty to wealth mentality in spite of the fact that he only had six years of formal education. He was well known for his words of wisdom which he had gathered through many years of business experience. After the event, a young entrepreneur wanting to extract some words of wisdom from him, walked up to him and asked “Sir, what is the secret of your success in life and business”? The man looked at him and said I have asked myself that same question several times but I keep coming up with the same answer. He further said: Son, there is really no secret to it. From the time I was 12 years old until now, I have worked hard at everything I did. The simple secret was that I kept at it and that is why I am successful today. Wow! That was wonderful and I came in conclusion that If you want to succeed do the same. Keep at it. No matter how smart you are, if you don’t work on your dream, it will remain unborn. Many people have problems putting their hands where their mouth is. They talk about how big their business or enterprise will become in future but they don’t put action behind their words. Words without action will only end in frustration. Words without action kill great dreams. Words without action create joblessness and derelicts that become liabilities to family and society. You can break out of the habit of dragging your feet by setting small, nonthreatening goals for yourself. When you form the habit of tackling little goals, it becomes easy for you to handle bigger goals. 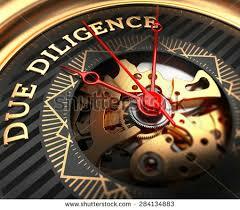 Another way to build the habit of diligence is to develop strategic relationships with diligent people. The more you hang around them, the easier it becomes for you to model them and produce the kind of excellent results they produce in their work. This entry was posted in success and tagged Consistent, Encouragement, Fulfillment, Growth Discipline, Habit, Insight, Journey, Life, Life Changing, motivation, Passion, Persistence, Personal, Principles, Spiritual, success, Successful, Talent, Wisdom.